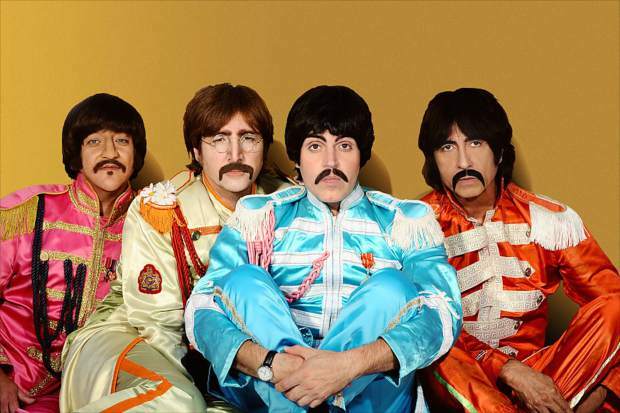 The 4 Lads from Liverpool, a Beatles tribute band, will take the stage at this year's Cover Rock Festival in Avon as part of The Beatles versus The Rolling Stones, âthe greatest concert that never happened." When: Friday, June 23, and Saturday, June 24. Where: Avon Performance Pavilion, Harry A. Nottingham Park, 1 Lake Street, Avon. Cost: Early-bird two-day general admission passes are $59; VIP passes are $159. AVON — Organizers are assembling “the greatest concert that never happened” as part of the second annual Cover Rock Festival in Avon. This summer’s festival will be held Friday, June 23, and Saturday, June 24, at the Avon Performance Pavilion at Nottingham Lake. Some of the world’s best tribute bands will assemble in the outdoor amphitheater at the base of Beaver Creek. The two-day music festival theme will be The British Invasion and will feature The Beatles versus The Rolling Stones, plus a laser-light spectacular as The Machine performs Pink Floyd. Last year’s festival attracted more than 2,000 fans, and with a lineup of tributes including Queen Nation, Led Zepplica, Kinked (tribute to the Kinks), Cream of Clapton and Time Traveller (a Moody Blues tribute), plus a special journey with the one-hit wonders of The British Invasion Years, Cover Rock Festival 2017 promises to be a trip back down memory lane to the era when British rockers invaded American hearts, souls and ears. A limited number of early-bird tickets are available now at coverrock festival.com for $59 for a two-day pass — a price similar to a one-day admission last year. There is also a limited number of early-bird VIP passes at $159, which include free libations, food, backstage access, exclusive shaded viewing areas and merchandise. The festival also is currently accepting volunteer submissions; volunteer shifts include free admission to the festival. Email Tom Dobrez at tom@kzyr.com to learn more. In addition to the music festival, Cover Rock also will be hosting a free Artists Exhibit Area, featuring rock music-inclined artists from around North America. The exhibition will run throughout the duration of the festival, and admission is free to ticket holders. Artists interested in exhibiting should apply online now. The festival is kid friendly, and festivalgoers can take advantage of hotel discounts offered by The Westin Riverfront Resort & Spa, Comfort Inn and the Sheraton, all located within walking distance of Cover Rock Festival grounds. For the full concert lineup, tickets, information on lodging and other updates on the 2017 festival, visit http://www.coverrockfestival.com.